You’ve "cat" to be serious when it comes to cracking the case. And there is no detective more serious than Purrrlock Holmes. That’s what this game is about: deduction, and ridiculously over-dressed cats. "We're incredibly excited to be bringing this game to market," Jerry Bennington, VP of New Product Development says. "It's already started to develop a strong following of cat, pun, and cat-pun-loving fans." 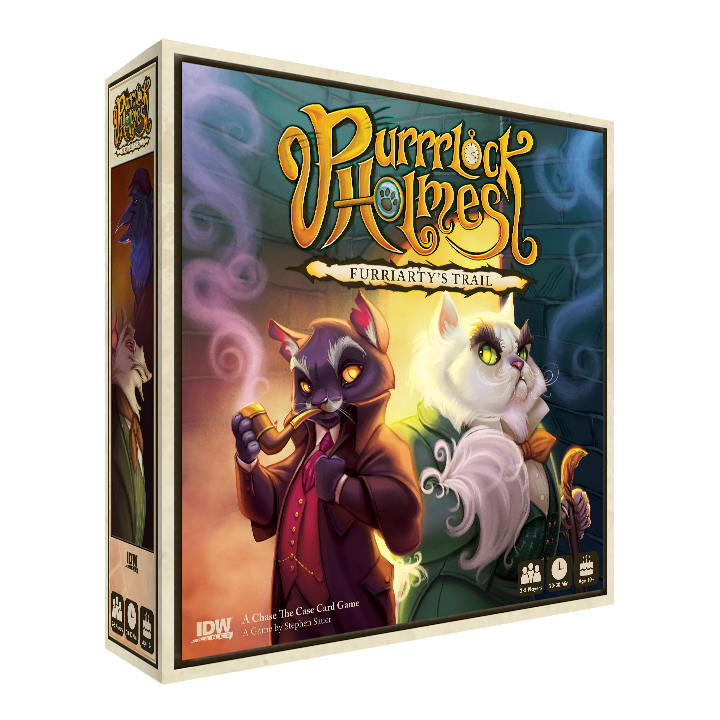 Furriarty is "litter-ally" terrorizing London and it’s up to Purrrlock Holmes to stop him before he escapes. Baker Street is awash with suspects, ranging from a gloomy Toad to a sorrowful Goose. 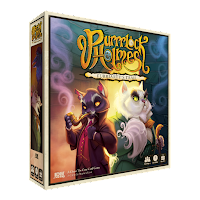 It’s up to you, the Inspector on the case, to decide whether they are actual suspects or pawns in Furriarty’s masterplan. That Furriarty sure is a "paw" excuse for a well-to-do cat.